We've compiled a list of free literacy resources so families can make literacy instruction part of their everyday routines. 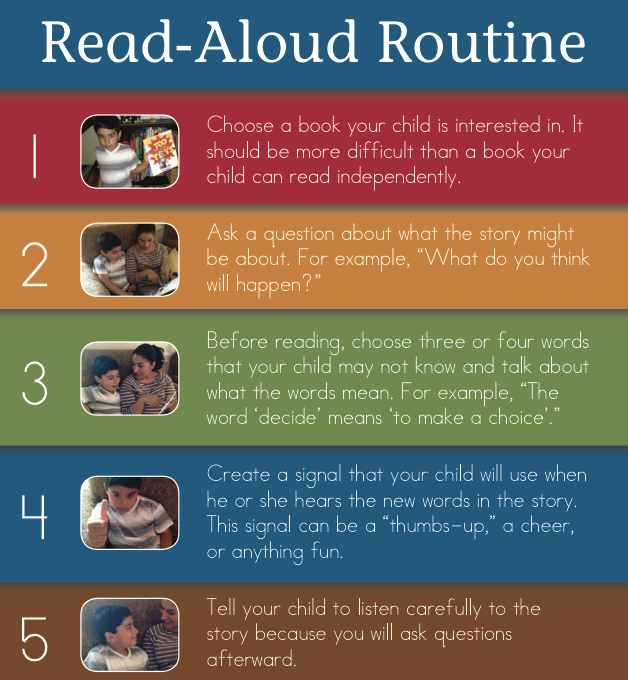 The Read Aloud Routine is an eight step process for integrating a regular read aloud with your child to help improve their reading comprehension. Use this flip book to help your pre-k students increase their vocabulary and comprehension skills. Use this flip book to help your Kindergarten through Second Grade students increase their vocabulary and comprehension skills.